Hemos reunido una bonita selección de frases para dar los buenos días en inglés tanto para tus amigos/as como para tu novio/a o pareja. Si quieres ser original y empezar el día con alegría y de una manera diferente, puedes hacerlo dando los buenos días en inglés... puedes sorprender a tu novia con algo romántico, o a un amigo con algo divertido. Como verás todas las frases estan traducidas al español. I hope your day is as BRIGHT as your SMILE. Good Morning! Today is a good day to have a GREAT DAY. I just woke up and you're already on my MIND. Good morning sweetheart. * Nothing is impossible when GOD is on your side. Good Morning. * Don't start your day with the broken pieces of yesterday. Every morning we wake up is the FIRST DAY of the rest of our life. Good Morning. 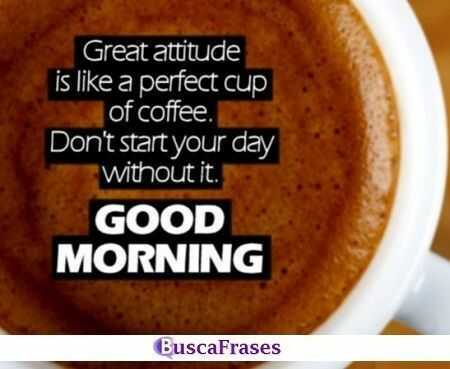 * Great ATTITUDE is like a perfect cup of coffee. Don't start your day with it. Good Morning. * Never stop believing in HOPE because MIRACLES happen everyday. Have a GREAT DAY. * I wish GOOD MORNING to the person whose KISSES are the reason for my HAPPINESS and whose HUGS make my LIFE PRICELESS. * Good morning baby. I just wanted you to know how much I care for you. You're always on my THOUGHTS. Have an AMAZING DAY. * Good morning. Have a beautiful day my love. * Your HUGS and KISSES are the only sunshine I need. Good morning my love. * A perfect day should be started not with coffee ot tea. It should be started with ME. A lovely morning to you my DEAR. * Today is a gift to you, just like you are a gift to me. I am glad that you are a part of my life. Good Morning. * Let's SMILE and be GRATEFUL for another day. Have a great day! Good Morning! * Good morning friends. May LOVE and HAPPINESS come to you in abundance. * Wishing you a warm and healthy morning, to make your day so special. Have a GREAT DAY ahead. GOOD MORNING! * Good Morning! Today is a good day to have a GREAT DAY. * I hope this new day and every day of your life gives your lot of reasons to SMILE and bue HAPPY. 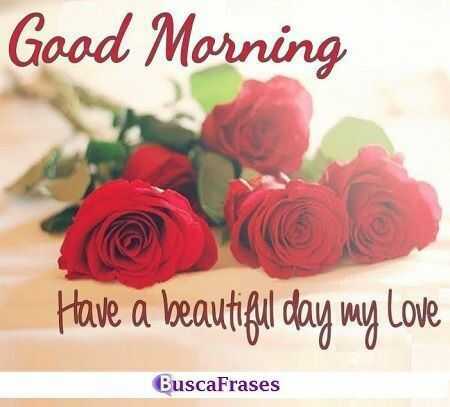 Good morning my friend. * Good morning my friends. May God bless you and keep you safe. Have a wonderful day. * Everyday is a new begining, take a deep breath and start again. 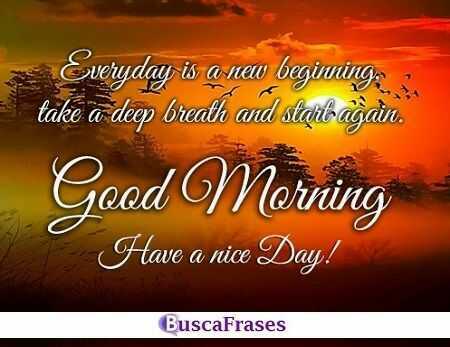 GOOD MORNING, have a nice day. * Take every CHANCE you get in life, because some things only happen once. Have a nice day.